﻿﻿Welcome﻿ to the Alpaca Inn! Where couples, families and sports enthusiasts come to relax and play! Nestled in the center of Historic Lava Hot Springs, the Alpaca Inn is the perfect backdrop for a relaxing, romantic getaway. Just two blocks away from the World Famous Hot Pools, Olympic and Heated Indoor Swimming Pools, and within three blocks of 6 restaurants and shopping. The Inn is newly renovated with rustic charm and complete with old fashioned hospitality. In the midst of many activities the Alpaca Inn is the perfect vacation destination for couples, families and sports enthusiasts. The Inn has a colorful private garden courtyard, wrap around deck with tables and chairs by your door, Family sized BBQ grill for your use, front deck for dining or just hanging out, and lounge chairs to relax in the sun. The Alpaca Inn is a nice spot to gather for your Family Reunion! Please see "Comments and More" above and "TripAdvisor" for more details. Stay 2 nights get half off the third night!! *10% off room prices (Military Discount). Please let us know if your military or retired military. Give us a call! We'd be happy to help! **Please remember to bring towels for the pools!! Sorry....No pets, No smoking or a $200.00 cleaning fee will be charged. Smoking in designated areas only. Cancellations: Because of our small size, we have a strict registration and cancellation policy. Please see policy page. We require a two night minimum stay on weekends (Thurs and Fri nights, Fri and Sat nights, or Sat and Sun nights). There's so much to do in Lava Hot Springs! 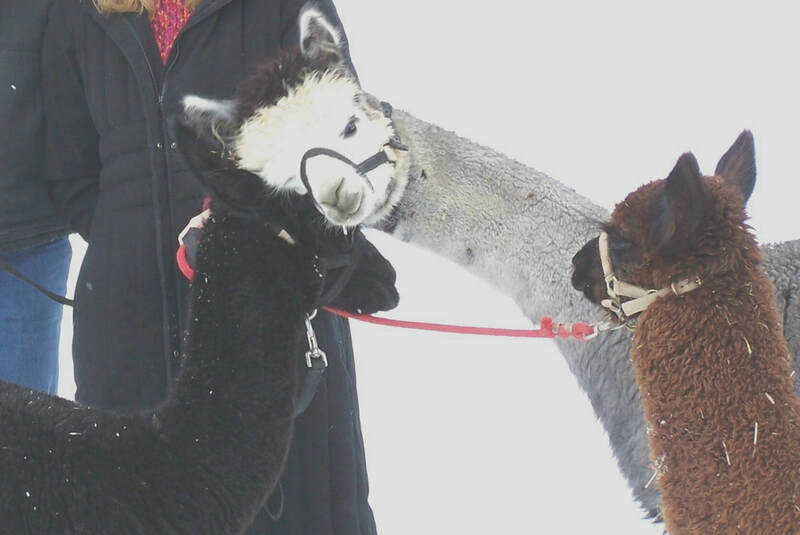 Alpaca Inn is located just 1/2 block off Main Street and within 2 blocks of Idaho's Famous Hot Pools, the Olympic Swimming Complex, and tubing on the Portneuf River. We are just steps away from Restaurants, Shopping, Blue Moon Bar and Grill, Shawn's Market, Lava's Historical Museum and minutes away from Bingo, horse back riding, horse drawn wagon rides, golfing, fishing, mountain biking, snowmobiling, cross-country skiing and downhill skiing. We are just over 2 hours from Salt Lake City Ski Resorts and Airport, less than 30 miles from Pocatello, and 2+ hours from Jackson Hole, Wyoming. 1. Take Exit 47 off I-15 and head east on US-30. Continue to follow US-30 for 11.8 miles. 2. Turn right into Lava Hot Springs at the main entrance on Center Street. 3. At the first stop sign Turn left (east) onto Main St, and drive 1 block. Turn right (south) at S 1st E and drive 1/2 block to E 1st Alley S.
See our specials and pictures of fun local events and recreation on our Facebook page!